Herbalists and Chinese medical practitioners sometimes recommend people use a tea or tincture made from dandelions to help with medical conditions, including blood glucose regulation, bruising, eczema, gallstones, heartburn, intestinal gas, joint pain, liver and gallbladder disorders, loss of appetite, muscle aches and upset stomach. It can also be used as a laxative, according to MedlinePlus. The exact amount of dandelion tea practitioners recommend varies based on the condition you want to treat and your age and health. A common dose is 1 to 2 tablespoons of tea made with either dandelion root or dandelion leaves three times per day, according to the University of Maryland Medical Center. Some people are allergic to dandelion and experience rashes or other allergic reactions when consuming dandelion. If you are allergic to ragweed or other similar plants, you may be allergic to dandelion as well. Some people also experience an upset stomach or heartburn when consuming dandelion tea. 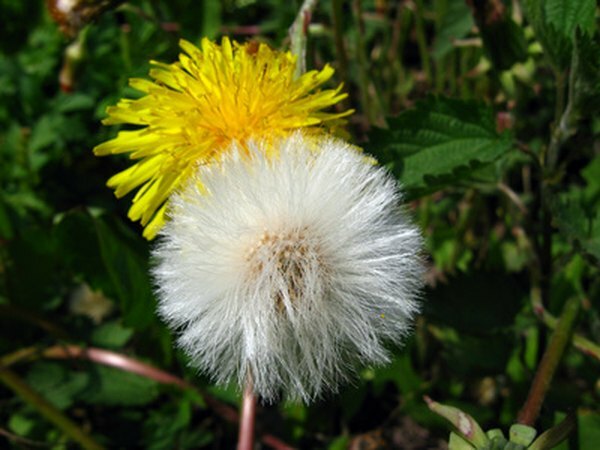 Dandelion may interact with certain medications. If you take antibiotics, lithium, potassium-sparing diuretics, antacids or medications that are changed or broken down by the liver, you may want to avoid drinking dandelion tea, as it could make these medications less effective or cause them to build up in the body. Dandelion is on the U.S. Food and Drug Administration's Generally Regarded as Safe, or GRAS, list. Adverse reactions aren't common, but you should still talk with your doctor before using dandelion tea or any other herbal medicine, as you may have a condition that makes it unsafe to use these treatments. Stick to the recommended dosage, as higher doses may not be safe.